Written by Leslie Nicholas, Project Manager, works for BBJ Group in our Chicago, IL office. What is risk? Risk is generally considered a probability of loss or a negative occurrence that is caused by external or internal vulnerabilities, and that may be avoided through preemptive action(s). Often, in the world of environmental matters, such risk can take the form of subsurface contamination, resulting in possible impairment of land value or exposure of building occupants or neighbors to contamination. Environmental Risk Assessments (ERAs) are a key component to understanding how these potential risks affect investments, and more importantly, how to create management plans that prescribe future mitigating actions and minimize the chances of these risks being realized. Because ERAs are based on scientific methodologies, they can seem like a burdensome process to take on. However, when the components of an ERA are boiled down to manageable steps, the underlying scientific principles make sure you as a risk manager are able to reach conclusions that let you determine how much risk you are willing to take, and how to manage the risks you decide you are comfortable with. The US EPA’s definition of an Environmental Risk Assessment is a tool used to “characterize the nature and magnitude of health risks to humans (e.g., residents, workers, recreational visitors) and ecological receptors (e.g., birds, fish, wildlife) from chemical contaminants and other stressors that may be present in the environment.” The US EPA considers ERAs to be a scientific, iterative process, in which the risk assessor uses available data to fill in gaps of understanding the quantity of and exposure to an environmental pollutant that is present in a target area. The US EPA’s ERAs can be multi-year processes, involving the collection of massive amounts of data to be digested, distilled, and analyzed before a conclusion can be drawn; this is because the ERAs performed for the US EPA tend to affect large populations or large regional land areas. In the business world, such timing and resources are generally not available or applicable, as investment decisions are often made in a matter of months, sometimes just weeks. Even so, you can distill the principles of environmental risk management, or ERA approach, to the basic elements and use these on a smaller scale to put everyday risks into a business context, helping environmental risk managers make sound decisions that fit within business goals and objectives. These should sound familiar to those who make investment decisions. Business managers often use these steps in determining whether an investment makes sense. Transparency: Anyone using the ERA knows how the assessment was performed, including key assumptions, limitations, and rationale. Clarity: The ERA does not use obscure language, and all users inside and outside the risk assessment process understand the methods used. Consistency: The ERA was conducted in harmony with industry standards, relevant policies, and scientific rationales. Reasonableness: Sound judgement was used in performing the ERA. By following these principles when evaluating environmental risk, you can make sure that the information you are using is evaluated using scientific methodologies, while also making sure the risk management decisions you make are in line with your risk tolerance for the investment at hand. While the overall environmental risk assessment process is relatively established throughout the environmental assessment community, the specific type of environmental risk assessment you perform will depend on number of factors, including resources, budget, and timing. When weighing these factors, it is important to consider them in the context of your business objectives. Understanding this will help ensure that you generate meaningful information you can then use to design an environmental risk management system that will work for your investment. What is our timing on making this investment? The amount of risk assessment you’ll be able to perform will be dictated by the time you have before you make the investment. Certain types of ERAs can take several weeks to gain all necessary information, something you may not always have. If you have a longer time frame in which to consider whether to make the investment, then you can use a staged ERA approach, which balances risk evaluation and costs based on available information. What is the value of this investment to us? Depending on how much you are spending on the investment itself, you may or may not want to spend as much on your ERA process. One caveat to consider is that the smaller the investment, the more likely it is that a large environmental event could put the entire value of the investment in jeopardy, so in these cases, sometimes it’s worth more upfront cost to minimize future downside risk. On the other hand, the value of the investment may be so significant that the environmental liability would have to be sizable to materially affect your investment. In these cases, sometimes less is more – an ERA focused on potential risks of serious magnitude could be sufficient, if you think you’d be able to weather small storms along the way. What are our immediate and long-term goals for this investment? The length of time you’ll be holding the investment can also help dictate how much risk you can take on. Longer term investments give you a larger time horizon, which means risk management strategies can be designed that spread costs over longer periods and help manage cash flow. Investments where you plan to rid yourself of the target in relatively short order means you might have more up-front expenses in addressing environmental risks. It’s important to note that in either case, a detailed risk assessment could be needed to give you better information on which to decide your future management strategies. These considerations would need to be balanced with investment value in planning your ERA scope. How involved will we be in managing identified risks? 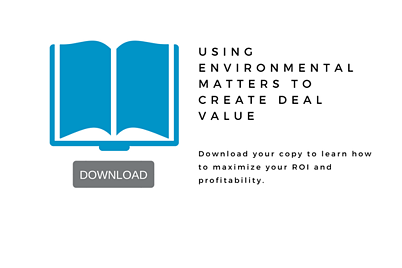 Environmental risks can be managed by investors with either a relatively “hands-off” approach, in which the risks are left to someone local such as an onsite manager. Alternatively, you can be actively involved in managing risks throughout the life of the investment, taking a more proactive role in routine environmental decisions. By understanding your availability and environmental expertise relative to the potential risks, you can determine how much detail you’ll want to derive from your ERA. More complex environmental problems can be better managed with a better upfront understanding of risk scenarios, which would indicate a more detailed risk characterization is appropriate. The advantages of environmental risk assessment considering the above questions means that you will have less surprises down the road, and that you are prepared for seemingly unexpected events because you’ll have considered the potential risks and severity of these events, and have a preconceived strategy for managing them, should they occur. Once you understand your purpose of environmental risk assessment there are several specific paths that use available information to help you draw conclusions about the potential risks you are facing. The more typical approaches are described below. Phase I Environmental Site Assessment (ESA): The “classic” environmental assessment performed for real estate. The Phase I ESA considers information from historical and current sources to draw conclusions about the likelihood of environmental contamination. 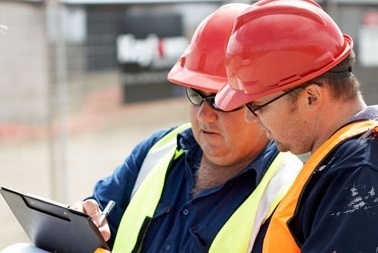 This scope is excellent for sites where limited or no due diligence has been conducted previously, and where there is an expectation that past or current uses of the property have resulted in some level of contamination. Where risks are identified in Phase I ESAs, additional data gathering and risk characterization is commonly needed, such as through a Phase II investigation. Phase II Investigation: Typically performed when environmental risks are identified as part of a Phase I ESA, the Phase II investigation can be used to gather additional data that is then analyzed to further quantify potential risks associated with past uses of real estate. This scope is often staged into multiple investigations, with each stage providing more information that risk managers use to map future costs to manage the identified risks. During the early stages of risk assessment, desktop reviews can be used to screen and prioritize environmental risks. Lower risks can be quantified as such, which allows risk managers to focus on more significant risks. For those sites where higher risks are identified, additional risk assessment (e.g., through Phase I ESAs or Phase II investigations) are often needed. Alternatively, when you are considering contaminated real estate that has already been extensively studied, a desktop review can take the form of a risk assessment that focuses on data analysis and re-characterization of risk in the context of the current investment. Regardless of the type of ERA you choose, you will want to make sure that your final assessment includes a characterization that provides usable information that follows the ERA principles above (transparency, clarity, consistency, and reasonableness). It is important to note that all ERAs are based on some level of uncertainty, and simply providing scientific quantification may not be sufficient to make business decisions. Therefore, part of the risk characterization process should include taking external factors into consideration. Risk managers should be able to understand the risk assessment in terms of external factors, such as economic, legal, social, technical, and political. These factors can all play a role in how effective your risk management decisions are. The advantages of an environmental risk assessment mean that you will have fewer surprises down the road and a plan for managing those that do occur. A good risk characterization should consider possible risk scenarios in light of current and forecasted financial conditions for your business, as well as available resources moving forward; the risk characterization should facilitate discussions by risk managers about the potential downside of not selecting particular courses of action. Managing your environmental risk is a critical component in running a successful, sustainable business. Understanding the key components of environmental risk assessments, and how to use that information to manage your environmental risk, can be complicated. Using a risk assessment approach that is founded in scientific principles and also takes into account key external factors, can help make sure your path to sound environmental risk management is a solid one.